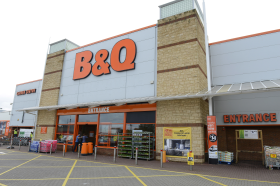 B&Q has reportedly given up information on around 70,000 shoplifters on Elasticsearch, according to Australian security researcher Lee Johnstone. Initially there were no identifying information about the retailer involved and the security researchers discovered it was B&Q from the store geodata. By his account, Johnstone made effort to contact Tradepoint and B&Q. He initially contacted them on January 12 2019, but in spite of assurances that they were looking into the matter, the Elasticsearch instance only became inaccessible on 23 January 2019. The BBC has reported that B&Q refutes some of the details in the incident, questioning the numbers of records involved. It also claimed other inaccuracies without detailing what they were. Under GDPR, a data breach must be reported to the regulator with full details on what happened, within 72 hours. Company is in a shambolic state with poorly trained managers and is making suicidal decisions, it recently cut the pay by over £2000 of its most experienced shop floor staff causing most to leave who were level 5 cust advisors. They now have replaced Position with new team leaders paid far higher, BUT the experienced staff have left meaning most of these positions have been filled with inexperienced staff with no idea what are doing. Veronica lowery as CEO has over seen the destruction of the UK best DIY chain. A store is only as good as it's staff and she has out the best of BQ by this terrible cost cutting idea.